Cluck Cluck: "Please grab a sponsorship up!" 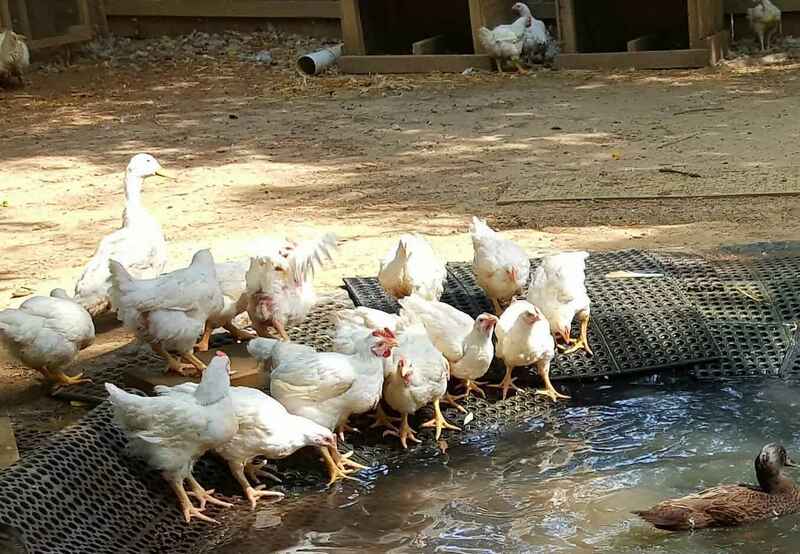 Over 100 roosters and hens make Carolina Waterfowl Rescue their home. Many come from neglect seizures or were surrendered to kill shelters. Several of our special roosters come from cockfighting busts, and were trained to fight. We work with these roosters and take special care that they are separated from other roosters, but still have hens and a family. We have over 40 individual enclosures for these gorgeous fellas. They will live their life with lots of love and care, just as all animals deserve. Please consider being a part of their lives in a special way, by sponsoring their care! CWR has a big heart for waterfowl and farm animals in need. Our roosters and hens have so much personality, make our job fun, and have forever homes here. Now we are offering a unique opportunity for individuals to partner together to sponsor their daily care and basic veterinary needs.